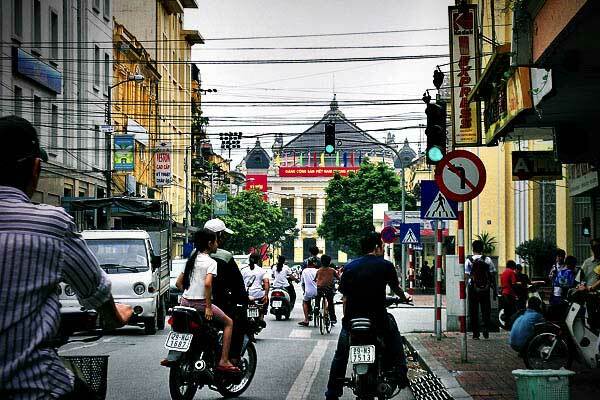 What’s street most beautiful in Hanoi? It is Phan Dinh Phung quite inside the ancient city, Thanh Nien street windy West Lake or poetical Nguyen Du street? …It’s difficult to say what street in Hanoi is the most beautiful, because this is one’s own experience. Only one thing is certain: the beauty of many roads in Hanoi have been put into poetry, love and nostalgia of generations of the Hanoi. 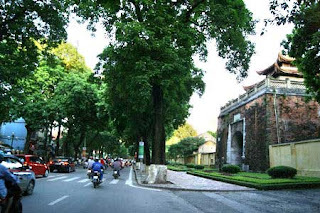 Located between West Lake and Truc Bach Lake, Thanh Nien Road is the most romantic streets of Hanoi. 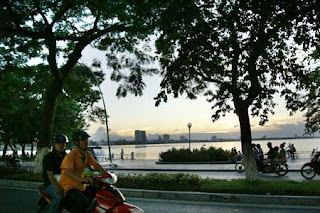 In addition to the old road called Co Ngu, Hanoi youth to put this road a new name: Road of Love. 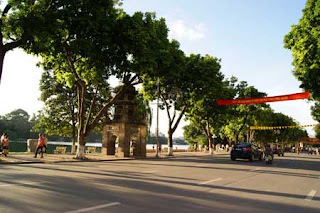 Running along the shore of Hoan Kiem lake, Dinh Tien Hoang street is located in the heart of the Hanoi capital. On the street there are Hoa Phong tower, relics of the Bao An pagoda and the Hanoi post office with a historic clock tower. On holidays, New Year, a street where people crowded island to see the fireworks and greeting Eve. 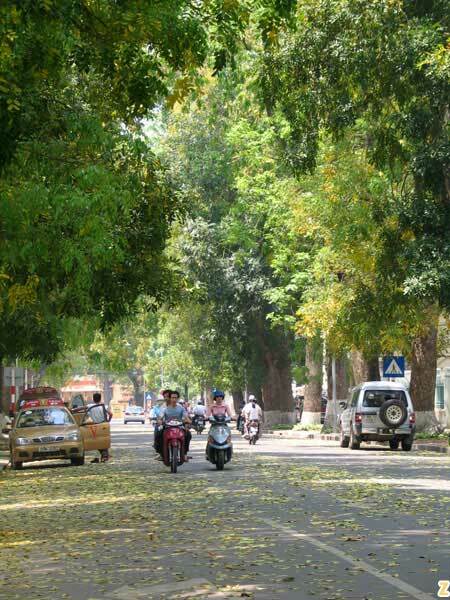 Phan Dinh Phung street has wide sidewalks and row of Sau trees shed bright yellow leaves in late spring. 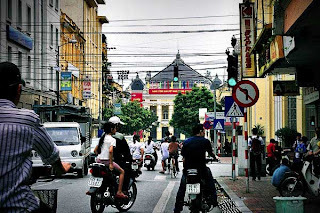 On the streets there are many villas were built during the French and the two ancient work known as the North of Hanoi citadel and Cua Bac church. Not many trees, Trang Tien street still outstanding beauty, aristocratic with Western style. A head of the street cross Hoan Kiem lake, the other end opposite the Hanoi Opera House and the August Revolution Square. Nguyen Du Street is located on the shores of dreaming Thien Quang lake which is considered the street of artists. In fall, street make upset as the heart of Hanoi by the fragrance of sweet milk flowers.